These additives are supplied in ready-to-use liquid form and are added to the concrete at the plant or at the jobsite. Successful use of additives depends on the use of appropriate methods of batching and concreting. Concrete additives have various functions depending on what the contractor wants to achieve. There are two main types of concrete additives which are chemical and mineral. Chemical additives reduce the cost of construction, modify properties of hardened concrete, ensure quality of concrete during mixing/transporting/placing/curing, and overcome certain emergencies during concrete operations. Mineral additives make mixtures more economical, reduce permeability, increase strength, and influence other concrete properties. Mineral admixtures affect the nature of the hardened concrete through hydraulic or pozzolanic activity. Pozzolans are cementitious materials and include natural pozzolans (such as the volcanic ash used in Roman concrete), fly ash and silica fume. They can be used with Portland cement, or blended cement either individually or in combinations. These are used to reduce the quantity of mixing water required to produce concrete of a certain slump, reduce water-cement ratio, reduce cement content, or increase slump. They are used extensively on larger projects where reinforcing steel requires high workability. Also used in precast and on site where the large water reduction provides very high early strength and improved durability. Water reducing additives usually reduce the required water content for a concrete mixture by about 5 to 10 percent. These are used to speed the rate of early hydration of the cement. Accelerating admixtures are especially useful for modifying the properties of concrete in cold weather. Calcium chloride (CaCl2) is the chemical most commonly used in accelerating admixtures, especially for non-reinforced concrete. Air-entraining admixtures are used to purposely introduce and stabilize microscopic air bubbles in concrete. Based on special surfactants, these admixtures cause tiny air bubbles < 0.3mm in diameter to stabilize within the cement paste. This air helps to prevent the concrete from cracking and scaling as a result of frost action. Air also increases cohesion in the mix, reducing bleed water and segregation of the aggregate before the concrete can set. Shrinkage-reducing admixtures have potential uses in bridge decks, critical floor slabs, and buildings where cracks and curling must be minimized for durability or aesthetic reasons. Concrete shrinks, mainly due to loss of excess water. This causes internal stresses that lead to cracking or curling, especially in slabs. These admixtures reduce the shrinkage stress. Corrosion inhibitors are used in concrete for parking structures, marine structures, and bridges where chloride salts are present. The chlorides can cause corrosion of steel reinforcement in concrete. These admixtures work for many years after the concrete has set, increasing the corrosion resistance of reinforcing steel to reduce the risk of rusting steel causing the concrete to crack and scale. They are based on Sulphonated Naphthalene or Melamine formaldehyde condensates, Vinyl polymers or Polycarboxylate Ethers. These admixtures give a much higher performance than the normal plasticizers. They are also known as plasticizers or high-range water reducers (HRWR), reduce water content by 12 to 30 percent and can be added to concrete with a low-to-normal slump and water-cement ratio to make high-slump flowing concrete. Flowing concrete is a highly fluid but workable concrete that can be placed with little or no vibration or compaction. The effect of Superplasticizers lasts only 30 to 60 minutes, depending on the brand and dosage rate, and is followed by a rapid loss in workability. As a result of the slump loss, Superplasticizers are usually added to concrete at the jobsite. Following simple precautions should be considered by the concrete engineer when using the additives: firstly, one should confirm the quality with relevant codes of practice to ensure that they are aware of the side effects of the additives and whether they are beneficial or harmful, the concentration of the active ingredient of the additives amongst other precautions. The engineer should also make sure that the negative effects is not more that acceptable limits; they are to also follow the manufacturer’s instructions regarding the dosage and also conduct the relevant tests to make sure that the desired effects are being obtained under the job-site conditions. Finally, they are to make sure that the batching of the additives is accurate and there is no overdosing particularly in case of very sensitive additives. Concrete additives are used under different situations. They may be used when properties cannot be made by varying the composition of basic material in a mixture, to produce desired effects that are economical, and also to make concrete that is of poor quality better. According to Fabienne Drouel of French company Coatex Group, one of the world’s leading designer and producer of water-based rheology additives; because of the high demand for quality concrete and the high performance additives the contractors are looking for today, it is important to break the limits of performance with newly developed products. 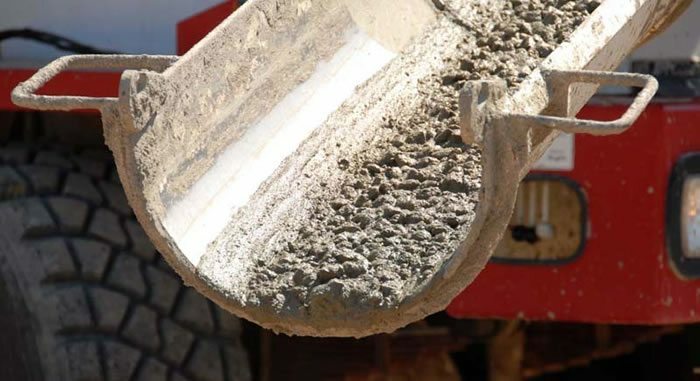 “One important trend these days is to drastically improve the slump retention of the concrete in order to allow the end user to deliver his concrete with maintained performance further and higher,” he says. Mr. Talal Hassanein the Business Development Manager at Fosroc Global Trading Limited (FGTL), one of the world leaders in the delivery of tailored Constructive Solutions for virtually any type of construction project further adds that; once completed it is important to extend the service life of every structure wherever possible, bearing in mind that any extra expense avoided is money saved. “The use of good quality additives therefore will go along way in doing just that,” he adds. It was really useful piece of information. Keep posting such articles. It will be really helpful for the Aspirant civil engineers.